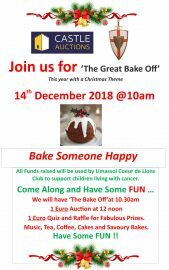 All Funds raised will be used by Limassol Coeur de Lions Club to support children living with cancer. 1 Euro Quiz and Raffle for Fabulous Prizes. Music, Tea, Coffee, Cakes and Savoury Bakes.